Android has improved severally since the past recent years, with customizations or mods taking over the ground with a rapid speed. If you had used an Android phone back in 2013, then you will agree with me that Android’s main UI is looking pretty much good from what we actually knew back then. Developers are there creating lot’s of themes and instigating users to try them out. Most of these themes can totally revamp the look and feel of your Android device to look stunning, just like what we saw in the Substranum Theme Engine. 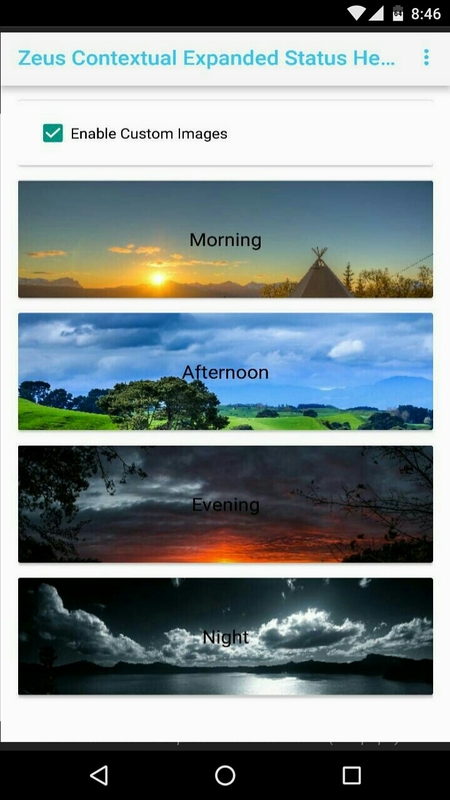 Now out of inspiration, thunder 07 decided to create an “Xposed Module” which adds beautiful background images to your Android’s pull-down menu or status bar header. 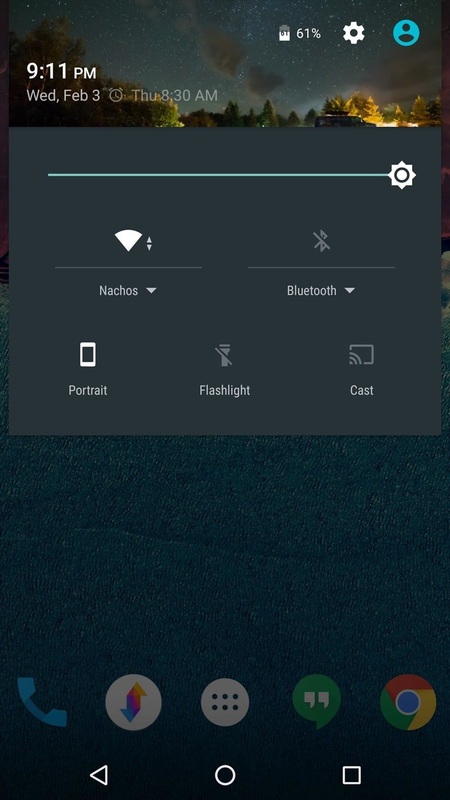 Also Read: How To Theme Android Status Bar and Navigation Bar. Thunder07 was inspired to create “Zeus Contextual Expanded Status Bar Header” after he saw “Contextual Lenox Header” which has the same similarity with the module he created. Now after using this feature on his carbon ROM, he felt he’d be able to bring back the “Contextual Lenox Header” to any stock Android running on Lollipop and above. Luckily, he was able to achieve this, even better. This feature (Contextual Lenox Header) was first seen on eXistenZ ROM and on CM based ROMs like OMNI, Resurrection, AOSP etc. So, if you’re eager to customize your Android’s expanded status bar header with beautiful background or images, then here’s how to do it. Android 5.0 Lollipop and above. 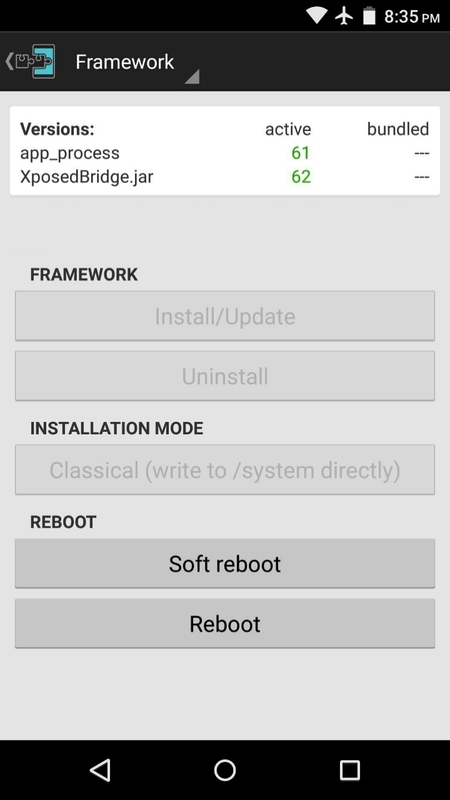 To begin with, you’ll first need to install the Xposed Installer app, then from your app drawer, locate and open the Xposed framework. From here, simply head over to the download section via the app and search for “Zeus Contextual Expanded Status Header”. Next, click on the result, then swipe from the left to jump into the version tab. From here, hit the download button and install the module afterwards. 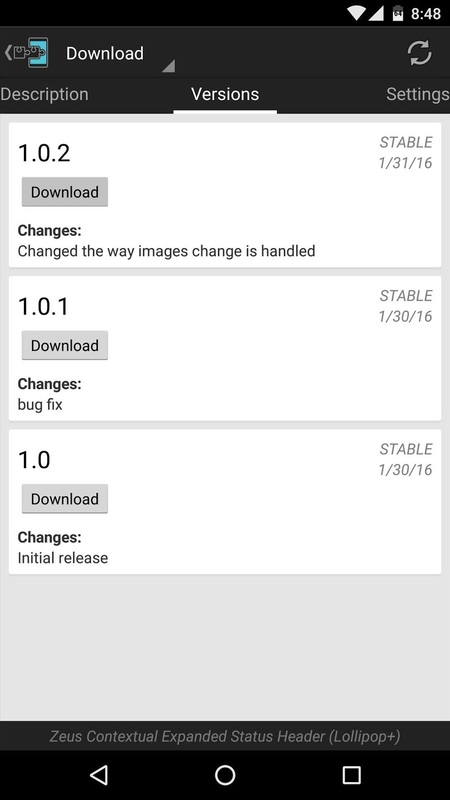 Alternatively, you can install “Zeus Contextual Expanded Status Header” from the Xposed Repository website. Next, you’ll need to activate the module. Thus a notification from Xposed will pop up, informing you that Zeus Contextual Expanded Status Bar Header hasn’t been activated yet, so tap activate and reboot your device. Alternatively, you can open the Xposed Installer app, from the main menu, head over to the Module section and tick the Zeus Contextual Expanded Status Bar Header box. Now go back and navigate into the framework section and perform a soft reboot. Morning: 3.00 am until 12.00 pm. Afternoon: 12.00 pm until 6.00 p.m.
Evening: 6.00 pm until 9.00 pm. Night: 9.00 pm until 3.00 am. After so many requests from the “Zeus Cntextual Expanded Status Bar Header”, users, thunder07 has decided to update the module, and this time, he integrated the ability to set your own background in the status bar header . Thus you can now choose any of your favorite images, and use them as your contextual background. For example, you can set an Easter image to beautify your device during the event. This feature obviously comes in handy, since by default, the module brings only 3 custom background. In summary, I’d say that Zeus Contextua Expanded Status Bar Header is probably one of the best Xposed module that can customize our Android device to the brim and while the app seems to be awesome, Thunder07 will also be integrating more features to improve the module. Soon it will be able to support all dirty unicorns custom ROMs, you can change time, hue and opacity. This module is working on LG G3, LG v10, LG G4 and other devices running on lollipop, marshmallow and above. Overall it brings a ray of sunshine to my Android device notification tray.